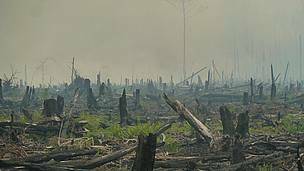 WWF has renewed calls for zero-burn policies to be enacted as satellites show that almost 90 per cent of the fire hotspots that blanketed Singapore and parts of Malaysia with the worst haze since 1997 were in Indonesia’s Riau Province on the island of Sumatra. WWF has renewed calls for zero-burn policies to be enacted as satellites show that almost 90 per cent of the fire hotspots that blanketed Singapore and parts of Malaysia with the worst haze since 1997 were in Indonesia’s Riau Province on the island of Sumatra. And many of these fires were in peatland, which can trigger huge emissions of carbon dioxide, a primary cause of climate change. 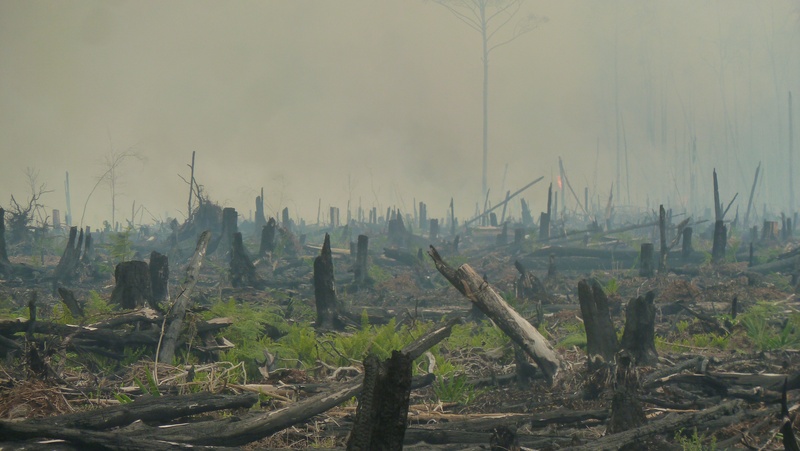 The call comes from an Indonesian NGO coalition Eyes on the Forest – comprising WWF, Jikalahari and Wahli. Riau has long been a centre of controversy over forest clearance and plantation establishment for pulp and palm oil. Zero burn policies would outlaw the use of fire to clear forest.